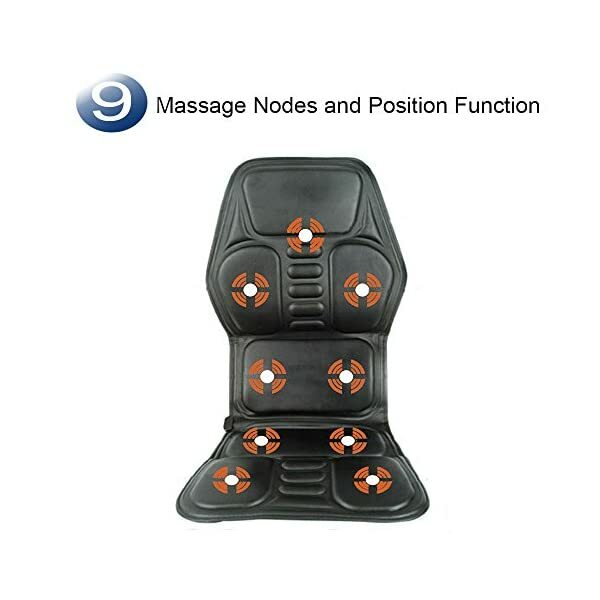 【9 Massage Nodes and Positioning Massage Function】- Features 9 vibrating massage nodes that penetrate deeply into your back , shoulder, waist , thighs and buttocks to help release stress, aches, tension and knots. 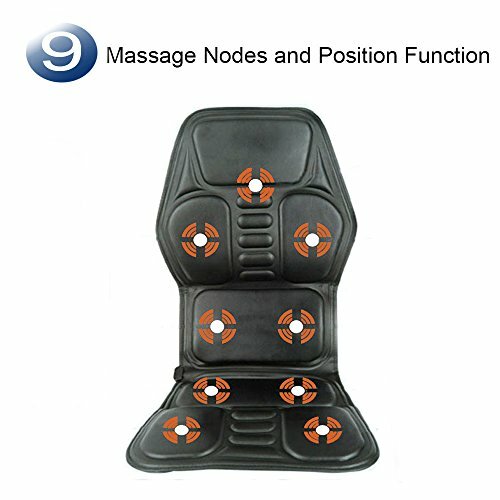 You can control these 9 massage nodes to achieve positioning massage. 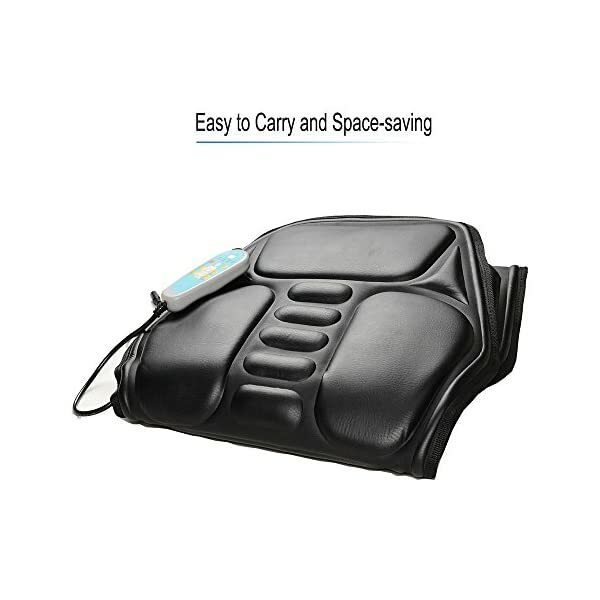 Powerfully releases all muscle tension; sooths pain, relieves and relaxes aches and knots. 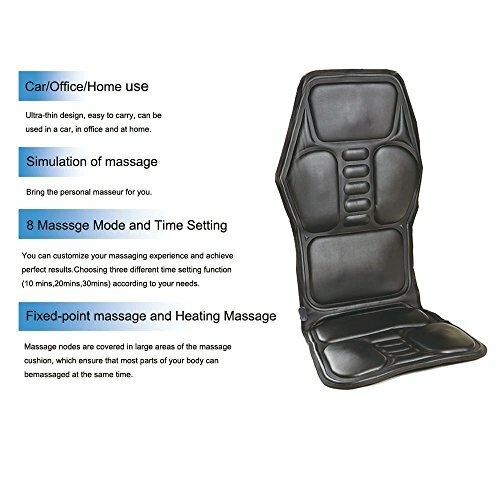 【8 Massage Modes and Time setting】- Offers 8 massage modes, you can customize your massaging experience and achieve perfect results. Three different time setting function( 10mins, 20mins, 30mins), Choose according to your needs. 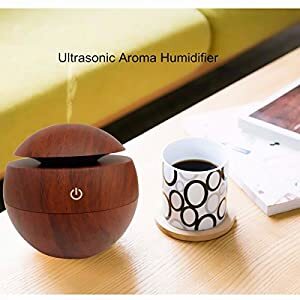 【Heating Function】- Offer you instantly warm on cold wintery days. 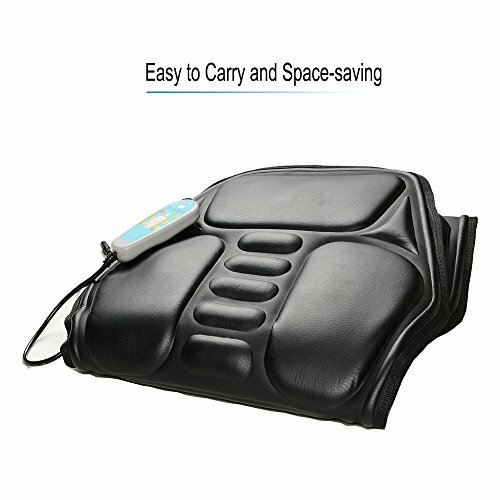 Massager cushion can be heated up in less than 30 seconds. 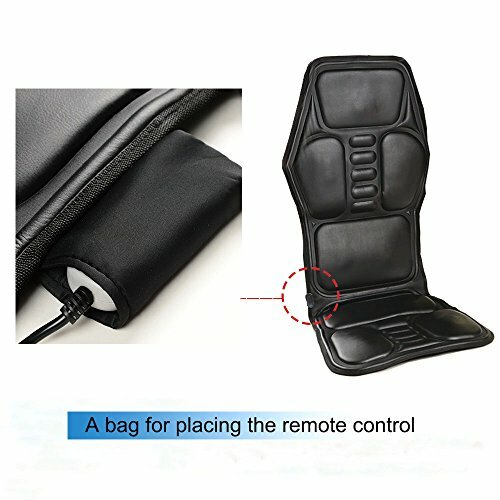 You don’t need to wait until your car heats up. for the needs of these consumers. 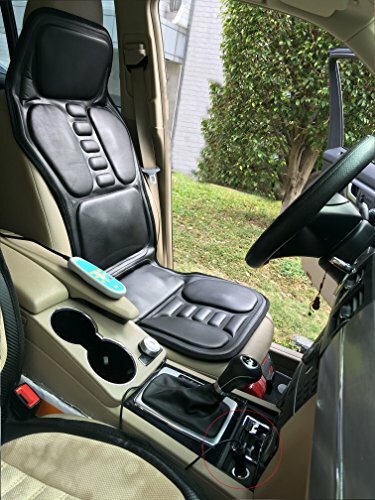 of the most comfortable mode you like. well controlled. 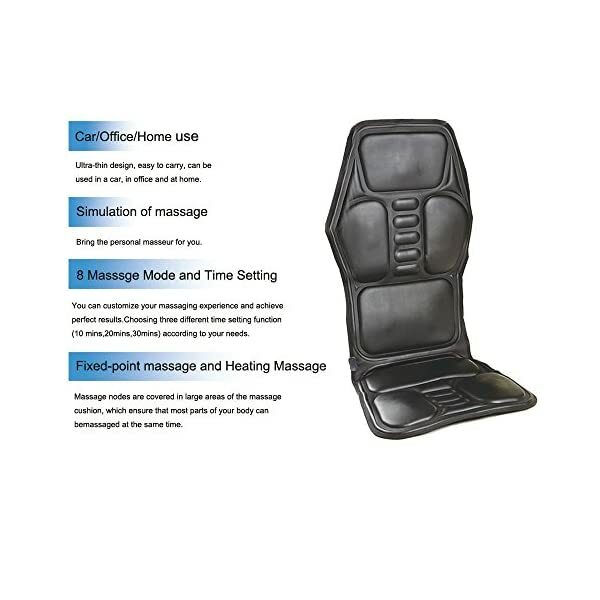 In other words, using our product, you can concentrate on driving or working while enjoying massage. 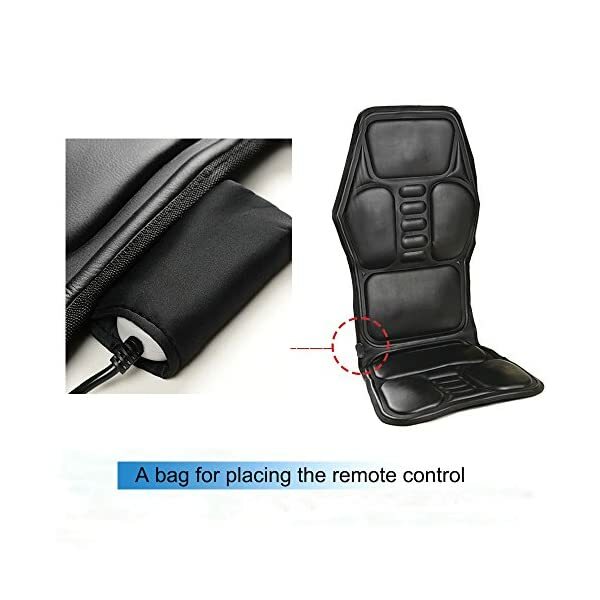 Third, this product is equipped with a home adapter and a car adapter, It has portable and fashionable design. 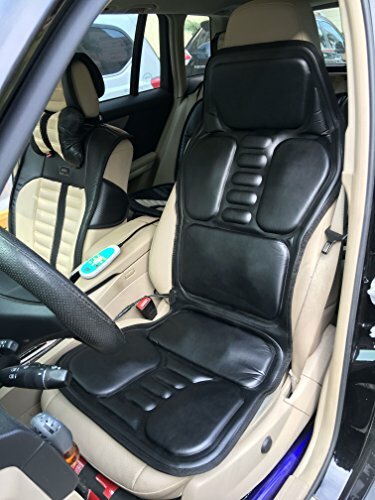 can not escape driving and working, why not to buy a product to relieve the fatigue and soreness it brings? 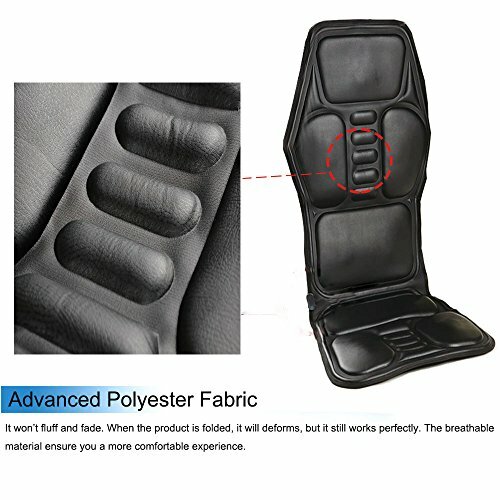 Our product is your best choice! 2. 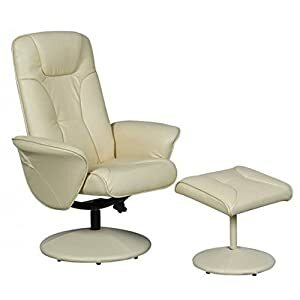 Massagers can not touch high-temperature objects, can’t bear heavy items or be squeezed. 4. Do not place this product in the chest, brain, or abdomen. 5. Using time should not be more than 30 minutes. 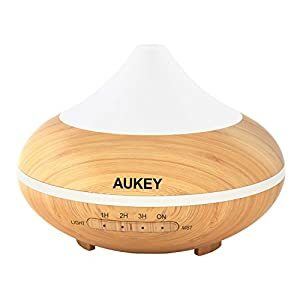 【Different intensity and Different frequency】 – Offers 2 different intensity and 2 different frequency, allows you to Customize your personal massage experience. 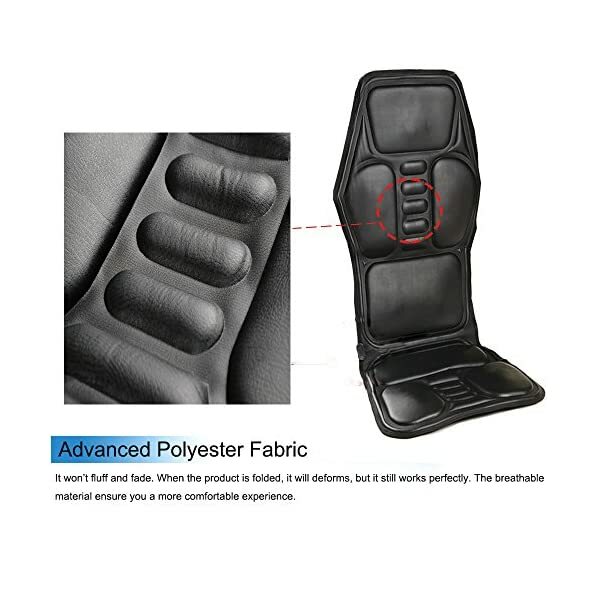 【Broad Compatibility】- Lightweight design, can be rolled up, easy to take to anywhere. Including AC adapter and car adapter, can be used in car, at home and at office.